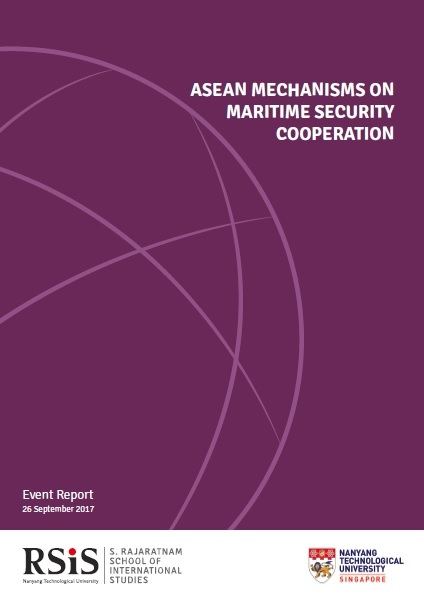 This workshop was part of a study that looked at the existing mechanisms within the Association of Southeast Asian Nations (ASEAN) and ASEAN-Plus that have maritime security on the agenda. Participants from the 10 ASEAN member countries provided insights on how their respective countries view these different forums. The general attitude of the participants was that existing duplication of maritime-related discussions across these platforms, while likely to pose a coordination challenge, was an integral part of the “ASEAN Way” and was vital for confidence-building in the region. external powers generated a lesser sense of ownership amongst ASEAN states, precluded ASEAN from forming a unified stance on certain issues, and subjected these platforms to the balance-of-power politics. Of these expanded formats, the ASEAN Defence Ministers Meeting-Plus appears to have made the most progress in terms of practical maritime security cooperation. Participants discussed key topical issues including Indonesia’s push for the criminalisation of illegal, unreported, and unregulated fishing; the lack of leadership within ASEAN; ASEAN’s norm-making functions; the bilateral and minilateral models of cooperation among ASEAN states; China’s Belt and Road Initiative; and whether a dedicated ASEAN sectoral body on maritime security was necessary. Progress in the South China Sea disputes is expected to be foremost on the agenda of Singapore’s chairmanship in 2018, especially in terms of determining what practical cooperation activities can be pursued as per Article 6 of the China-ASEAN Declaration on the Conduct of Parties in the South China Sea.